Perhaps it is because I am a fisherman, that when someone says Yellowstone, cutthroat trout are the first thing that come to mind. And when I think of cutthroat trout, it is the image of the Yellowstone species that forms in my brain. They are under attack, and as usual we have only ourselves to blame for this. 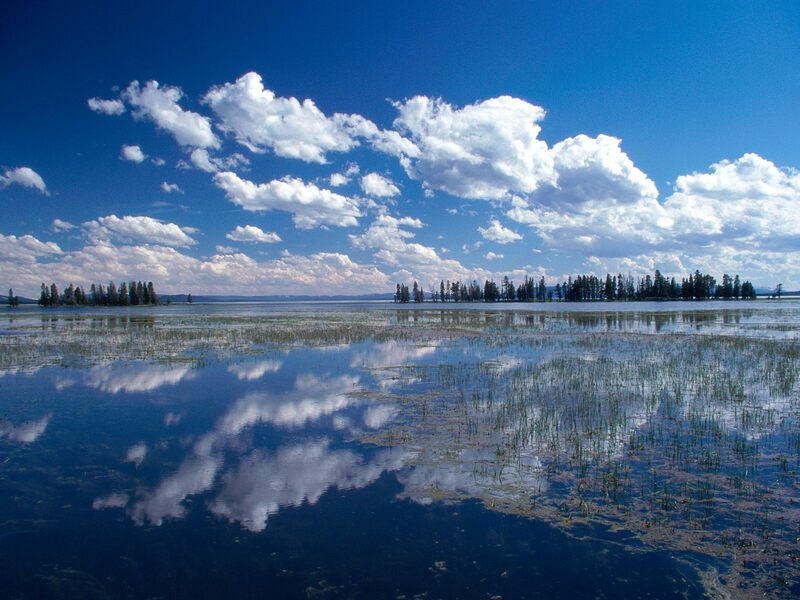 Lake trout, which are actually a char and not native to Yellowstone are now thriving in Yellowstone Lake. Why is this such a problem? It's a problem because lake trout, even in their native waters, are an apex predator. They feed voraciously on the abundant supply of forage fish like alewives, sardines, chub and ciscoes (to name a few), that are found in their home waters. Now, when a fish eating machine like the lake trout is introduced into a lake like Yellowstone Lake, where there is not a large biomass of forage fish, they must turn their attention and appetites to what is there. In this case, in large part, the Yellowstone cutts. And the cutthroat are not used to their new status as food. They are not accustomed to or designed to escape this type of predator and so they become an easy and tasty target for the lake trout. On top of this, lake trout are much longer lived than cutthroat. A lake trout, on average, can live to be 40 years old, while the cutthroat rarely live longer than 10 years. A Yellowstone cutthroat could conceivably spawn 3 to 4 times in it's life, while the lake trout hit the conjugal spawning bed up to 20 times in their lives. It doesn't take a rocket scientist, biologist, or even an average mathematician to see the conclusion where simple, basic math will take us...Bye Bye cutthroat! 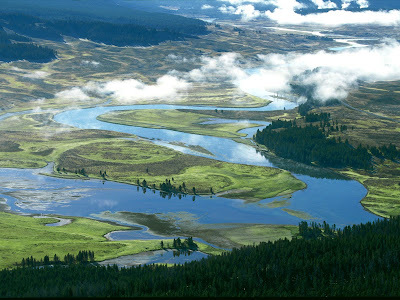 Fortunately, the caretakers of Yellowstone National Park and it's fish see this, and are trying to do something about it. There is no limit on lake trout in Yellowstone Lake, so fisherman can fill their bellies with lake trout (and they are tasty, trust me). The park has also obtained a netting boat that they can use on the lake to net the places they know lake trout inhabit. It's unlikely that these methods will ever eradicate the lake trout from Yellowstone Lake, but maybe they can keep the menace at bay. Let's hope so. I do not consider myself to be an environmentalist, nor am I a naturalist who would always champion the native species over the non-native. Doing so would make me a hypocrite. For you see, I live near and love fishing the Bow River for it's non-native rainbow and brown trout. And were it not for the building of a dam or two, which mitigated spring flooding and stabilized both rate of flow and water temperature (yes good things can come from those damn dams), as well as the City of Calgary pumping it's secondary treated waste water directly into the river, flooding it with nutrients in the form of phosphates (basically steroids for plants), the Bow River would still be what it once was...just another barren, glacial, northern freestone river prone to spring flooding from snowmelt and home to a few stunted rocky mountain whitefish and spiney sticlebacks. Yippee! So why would I take up the banner to save native Yellowstone cutts you might ask? Good question. King Solomon wrote, three thousand years ago, "there is no new thing under the sun" and he was right. For as long as man has roamed this earth, his hand has spread it's greedy fat fingers out and touched virtually all of the habitable places that exist, forever altering the landscape. In a world of increasing urbanization, and with the extraction of raw materials to satisfy the appetite of this "urban lifestyle", there are increasingly fewer places that remain pristine. The reality, on this continent, is it's just the national parks of North America and the far north that can even begin to call themselves pristine anymore. Yellowstone is one of those places, and the cutthroat that are unique to this park and call it's rivers and lakes home, are inextricably intertwined with this park's pristine state. Lose them, and Yellowstone begins to lose it's luster. I believe we must continue to fight in order to preserve some remnant of our natural history. Yellowstone is a visual spectacle of the past, let's keep it that way. 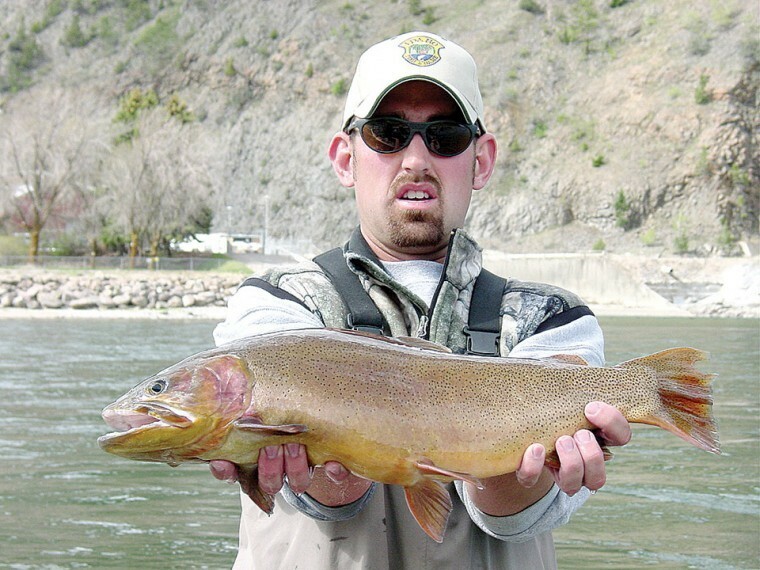 Save the cutthroat...Bonk a laker!